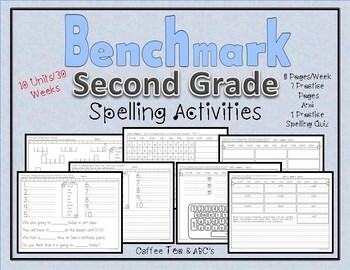 This unit has all you need for your spelling activities for the entire year. You may use them for homework, small group, daily five, or work in class. There are seven activities plus a practice quiz for each week. 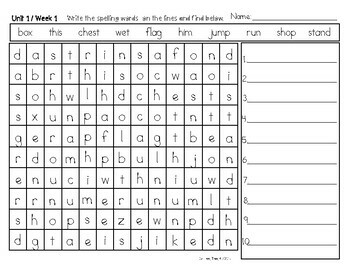 ABC order for the spelling list plus space for writing sentences. Magic Words: Write the words in white crayon and color with a marker to appear. Also write a sentence the same way. Unscramble the words and use at least three or more in sentences. Write the spelling words and then fill in the missing spelling words in the sentences. Spelling Word Cards for all the Spelling Words. This unit is aligned with the California Benchmark Advance Curriculum.